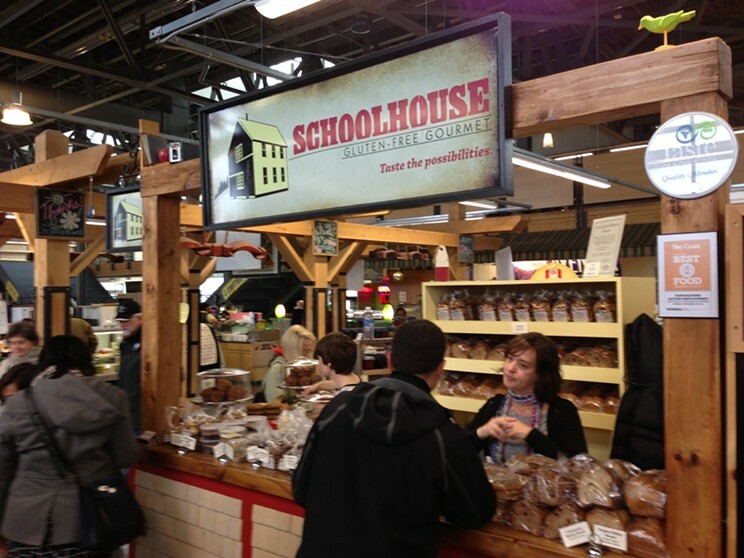 Learn about life after wheat at Schoolhouse Gluten-Free Gourmet. At this bakery’s busy farmers’ market stand there are no lectures on the danger of wheat belly, and no demands that you put up with dry, crumbly bread because that’s the price of forsaking flour. Instead there are cute packages of chocolate brownies, yummy ginger snaps, amazing maca- roons, breads, biscuits and pieces of cake without that nagging suspicion you’re eating something your body isn’t totally thrilled with.